Men care There are 37 products. 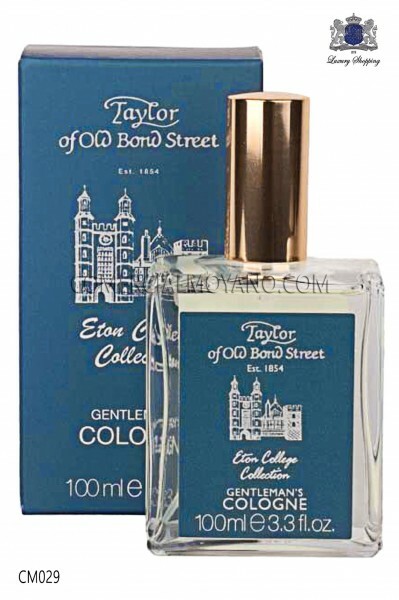 This original fragrance from 1854 is a benchmark for English gentlemen with tradition in good taste and elegance. Presented in an exclusive glass bottle this colony is specially formulated to deliver a discreet and sophisticated aroma. A perfume woody base with a fresh and natural aromatic fragrance. Made in London. This original fragrance from 1854 is a benchmark for English gentlemen with tradition in good taste and elegance. 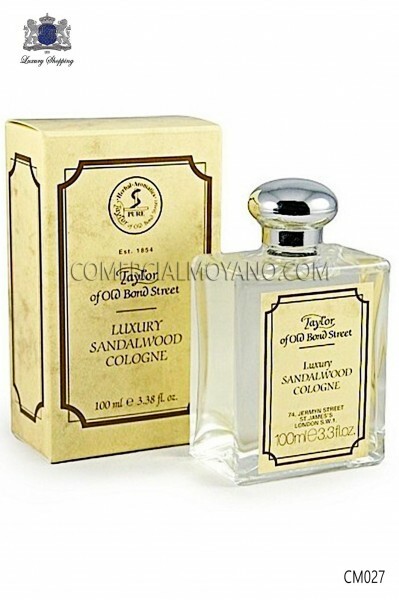 Presented in an exclusive glass bottle this colony is specially formulated to convey an elegant aroma. A scent of aromatic base fougere with notes of bergamot and lavender resting on a base of leather, moss and musk. Made in London. This original fragrance from 1854 is a benchmark for English gentlemen with good taste tradition. Presented in an exclusive glass bottle is inspired by the fragrances of old barber formulated to convey a fresh and invigorating aroma. A scent of aromatic base with notes of fresh lime, shades of lavender, thyme and rosemary. Made in London. 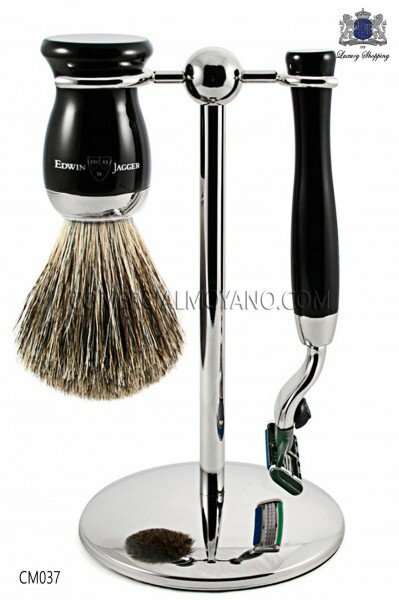 Elegant set of black ebony shaving composed of a unique chrome stand, classic razor head with Gillette Mach 3 and extraordinary real badger hair brush. This gift pack is a fantastic gift for any lover of classic gentleman shave. Craftsmanship in England. 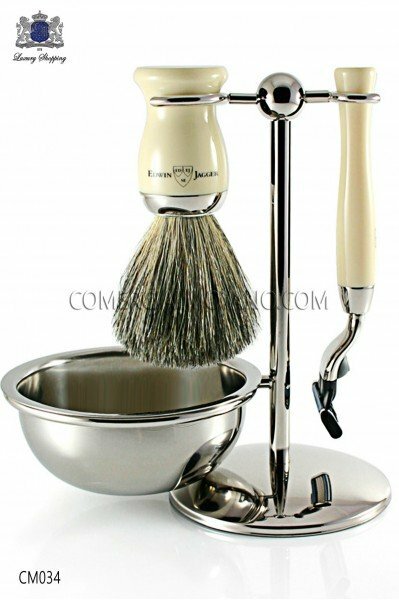 Elegant ivory shaving game consists of an exclusive chrome stand, classic head razor with Gillette Mach 3 and extraordinary real badger hair brush. This gift pack is a fantastic gift for any lover of classic gentleman shave. Craftsmanship in England. Elegant set of black ebony shaving composed of a unique chrome bracket with soap bowl, classic razor head with Gillette Mach 3 and extraordinary real badger hair brush. This gift pack is a fantastic gift for any lover of classic gentleman shave. Craftsmanship in England. 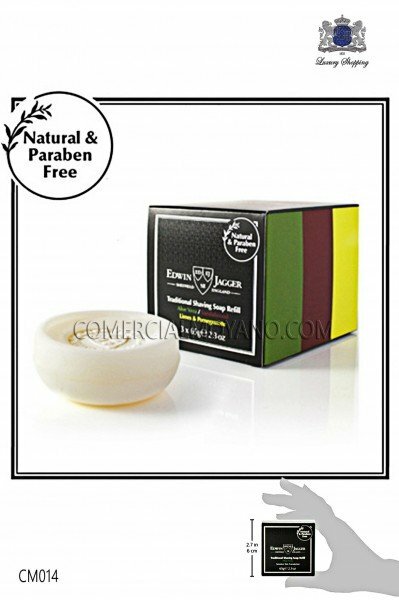 This extraordinary soap with natural fragrances, allows you get an abundant foam quality providing extraordinary care and hydration to your skin face. Formulated only with natural ingredients, no parabens. Made in England. 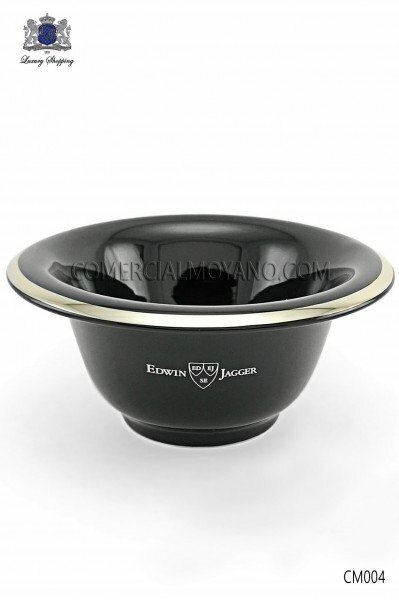 Shaving bowl black English porcelain decorated with an elegant silver fence. This porcelain vessel becomes a key element for any lover of classic shaving offering an elegant complement to the deposit brooch and soap. 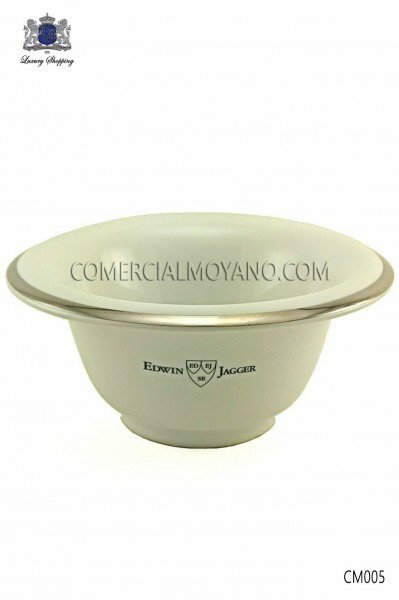 Shaving bowl ivory English porcelain decorated with an elegant silver fence. This porcelain vessel becomes a key element for any lover of classic shaving offering an elegant complement to the deposit brooch and soap. 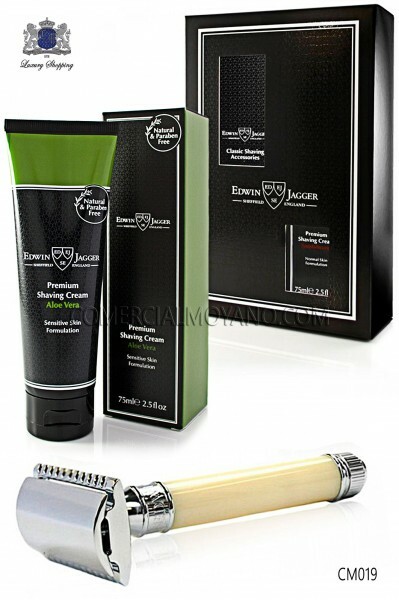 This Edwin Jagger Gift Set includes a Double Edge Safety Razor and Sandalwood Shaving Cream. The safety razor features their most sought-after closed comb head, with a ebony resin covered handle and chrome plated collar, and the shaving cream nourishes hair and skin to prepare for a close, luxurious shave. 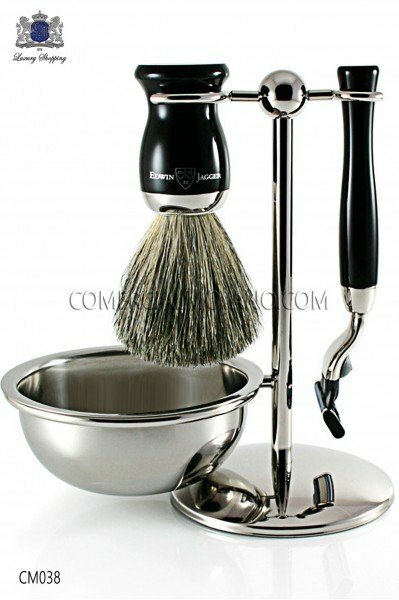 It is a great set to enhance any shave routine. English This pack contains two essential elements shave for every good fan of classic shaving. Presented in a unique case, it is an original gift for a perfect shave. 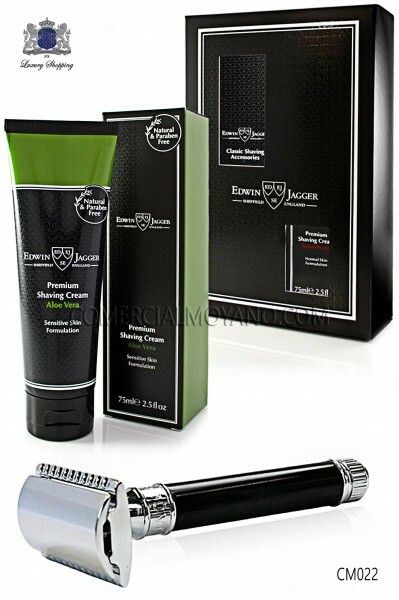 Classic razor ebony black metal head double blade and shaving cream with Aloe Vera natural perfume. Gift box of razor blades. Made in England. 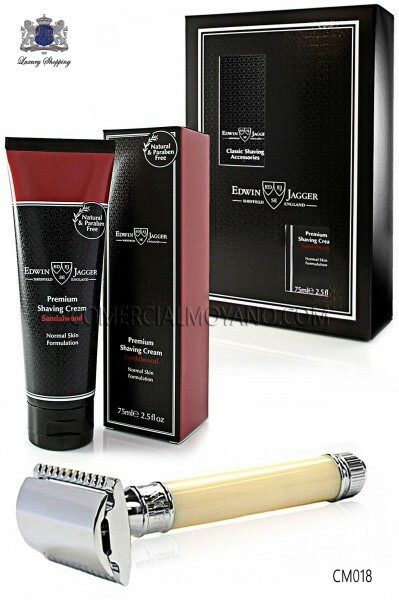 English This pack contains two essential elements shave for every good fan of classic shaving. Presented in a unique case, it is an original gift for a perfect shave. 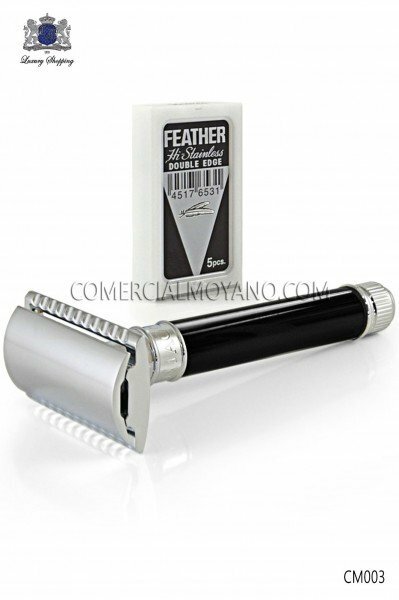 Classic razor ebony black metal head double blade and shaving cream with natural perfume Lima. Gift box of razor blades. Made in England. English This pack contains two essential elements shave for every good fan of classic shaving. Presented in a unique case, it is an original gift for a perfect shave. 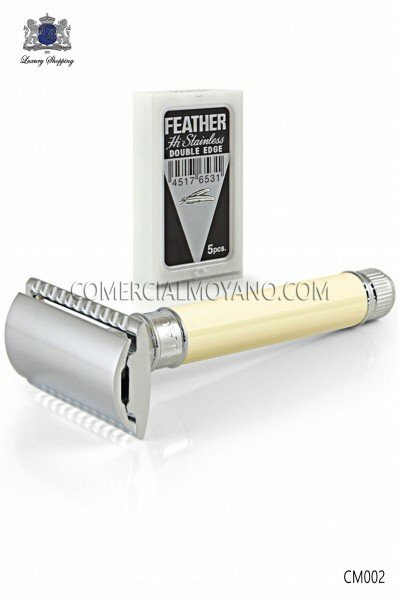 Classic metal razor with chrome head double blade and shaving cream with Aloe Vera natural perfume. Gift box of razor blades. Made in England. 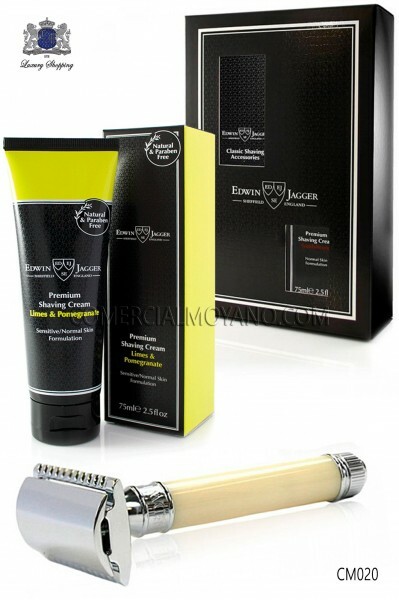 English This pack contains two essential elements shave for every good fan of classic shaving. Presented in a unique case, it is an original gift for a perfect shave. Metal classic metal razor blade and double head shaving cream with natural perfume Lima. Gift box of razor blades. Made in England. 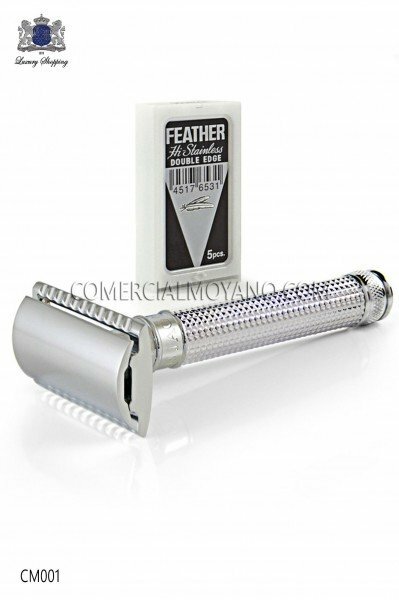 Classic metal razor head with comb secure double leaf closed. This chrome razor has been entirely manufactured in England using the latest 3D laser engraving technology. You empuñarás in your hand a single piece with 0.5 mm diamond design that lets you the best result of a classic shave. Gift package of razor blades. Classic razor head with comb secure double leaf closed. 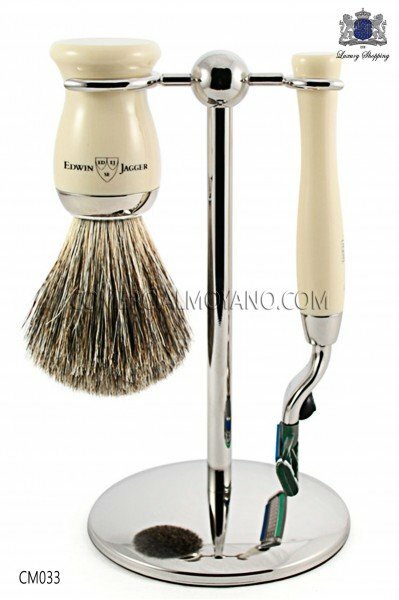 This razor ivory has been entirely manufactured in England using the finest materials. You empuñarás in your hand a single piece of collection that will allow you to get the best result for a classic shave. Gift package with razor blades. 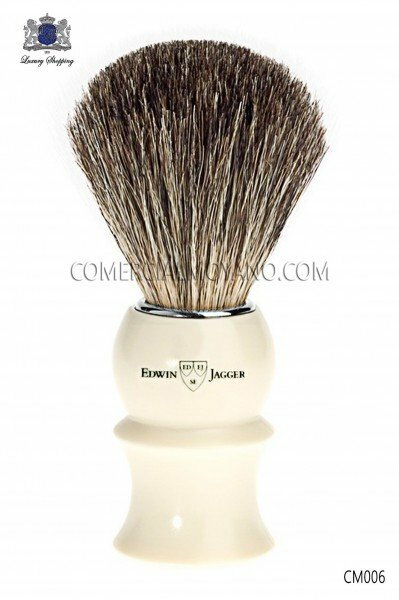 Shaving brush made of soft natural badger hair. Elegant brush with ivory handle and nickel plated fence. The quality of this hair gives your skin an extraordinary feeling soft brush making this an essential piece for any lover of classic shaving.